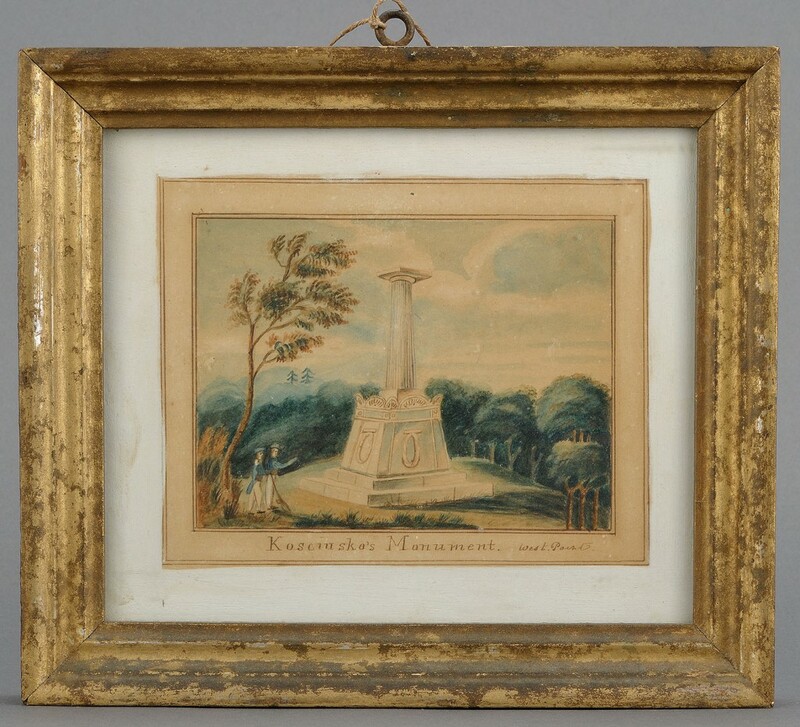 American School, 19th century watercolor painting of two West Point cadets standing at Kosciusko's Monument. 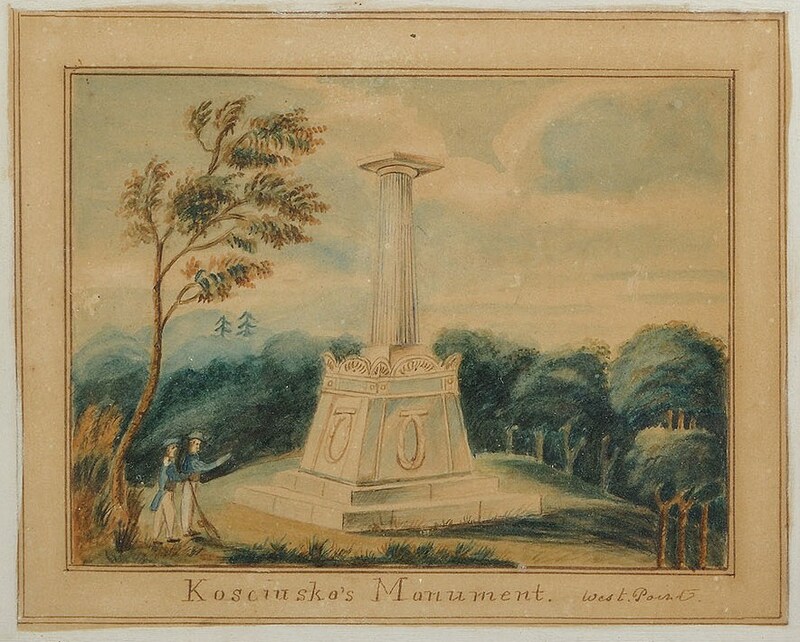 Inscribed below the image: "Kosciusko's Monument. West Point" Unsigned. Sight: 6 3/8" H x 7 1/2" W, Framed: 8 3/8" H x 9 5/8" W. Provenance: Estate of Salli LaGrone, Franklin, Tennessee. Condition: Good condition. Minor foxing and toning. Outer edges of paper have been painted white.